June 25, 1926: “The Gumm Sisters” performed with The Meglin Kiddies at the Elks Lodge in Ventura, California. No other information about the show is known. Photo: Judy, circa 1926, in Lancaster, California. This completed Judy’s work on the film. It would be released on July 22, 1938. 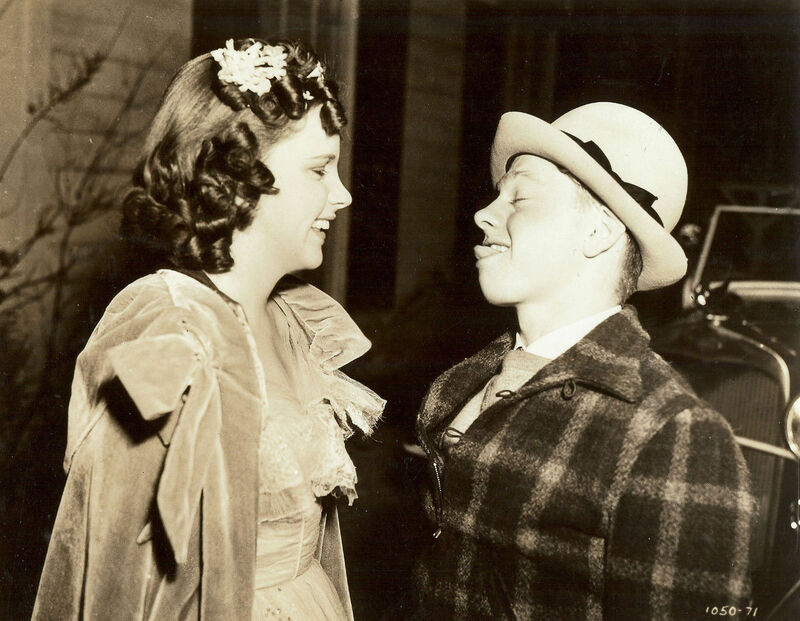 It was Judy’s first of three appearances in the Andy Hardy series as “Betsy Booth.” Love Finds Andy Hardy was the quintessential Hardy film. Some consider it to be the best of the series. June 25, 1940: Judy graduated from University High School. She spent the day, not at the school, but at the studio rehearsing the “La Conga” number for Strike Up The Band. 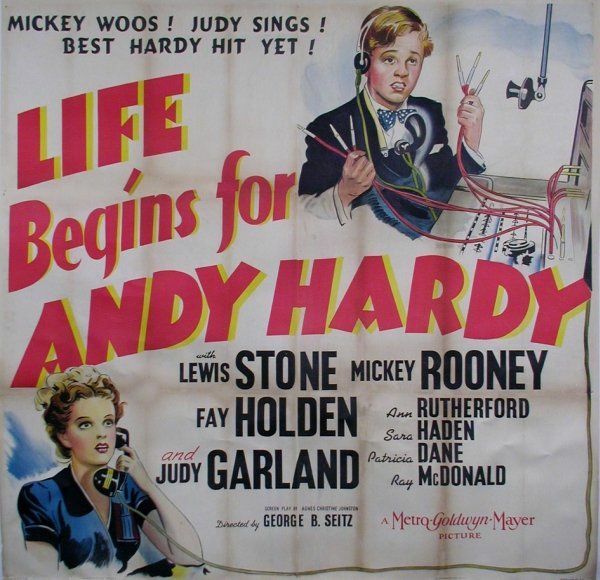 Time called: 10 a.m.; dismissed: 5:40 p.m.
June 25, 1940: MGM prerecording session for Life Begins for Andy Hardy. 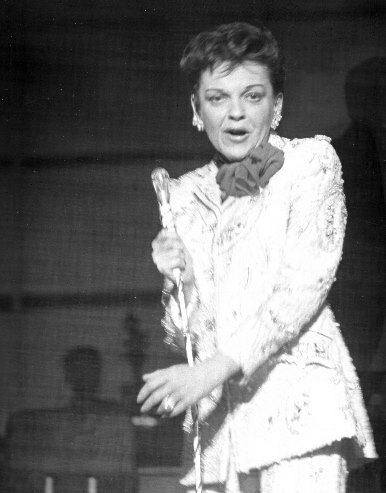 Judy recorded a partial retake of “Easy To Love” which was ultimately deleted from the film. In fact, all of the songs Judy prerecorded for the film went unused. 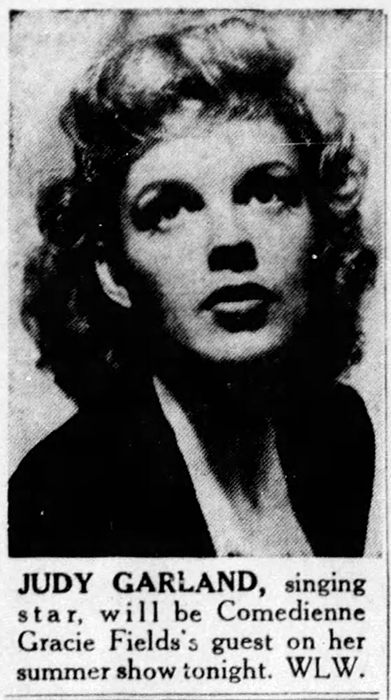 She does sing a quick acapella version of “Happy Birthday” but for all intent and purposes, this is technically Judy’s first non-singing role for MGM. Six-sheet poster image above provided by Kim Lundgreen. Thanks, Kim! June 25, 1942: MGM pre-recording session for For Me And My Gal. Judy recorded retakes of “When Johnny Comes Marching Home Again” and the revised finale (“For Me And My Gal”). 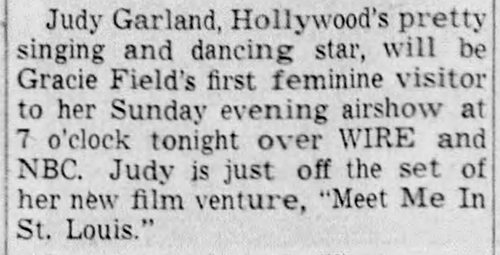 Time called: 1:30 p.m.; dismissed: 5 p.m.
Judy also recorded “Smiles” which was trimmed in the film, being part of the “Y.M.C.A. Montage.” The complete version has survived. It was first released on the laserdisc set “Judy Garland – The Golden Years at MGM” then on the official CD soundtrack to For Me And My Gal from Rhino Records in 1996. Check out The Judy Room’s Filmography Page on For Me And My Gal here. June 25, 1944: “Command Performance #122” aired. The show was recorded on June 3, 1944. Discs of the recording were sent out to military facilities around the world for airing over the Armed Forces Radio Services network. The show was released on CD in 1992. Download the CD here. You can listen to, and download, the entire show here. 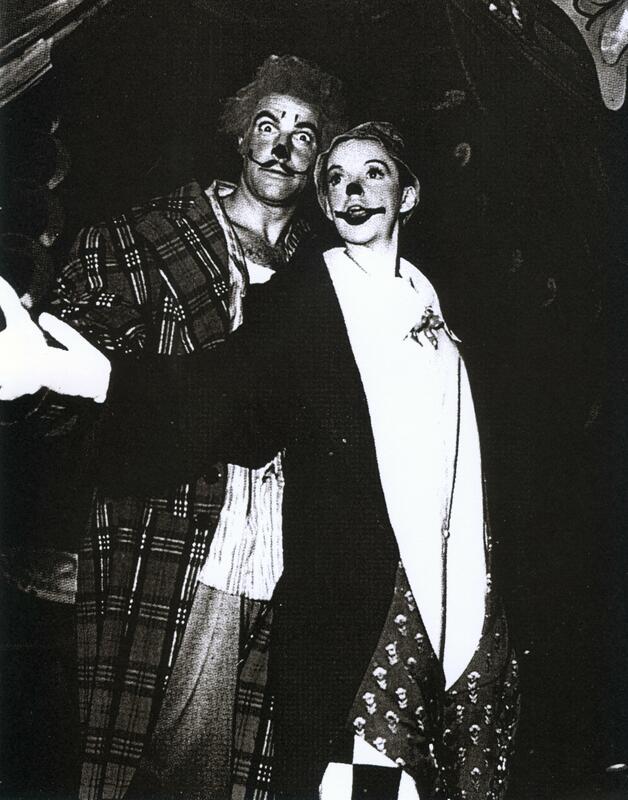 June 25, 1947: The third of six days of rehearsals of the “Be A Clown” number for The Pirate. 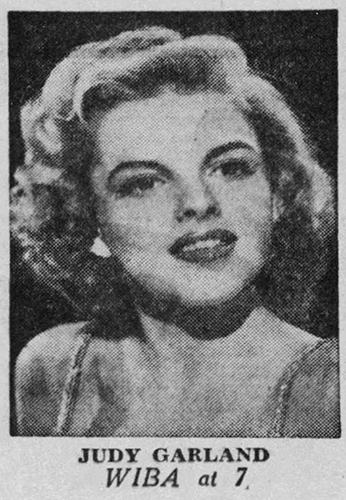 Time called: 2 p.m.; dismissed: 5 p.m.
June 25, 1951: Judy returned to the London Palladium for an “All-Star Midnight Matinee Benefit” for the family of the late comic Sid Field. 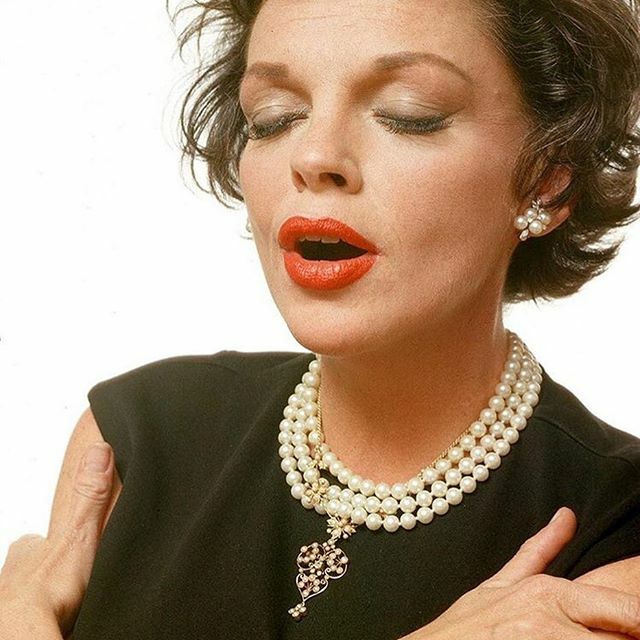 Judy sang “Rock-A-Bye Your Baby” and “Over the Rainbow.” Critic Kenneth Tynan stated: She has only to open her throat, and send her voice, pleading and appealing, up to the roof, to leave no doubt that talent like hers is independent of age and appearance. 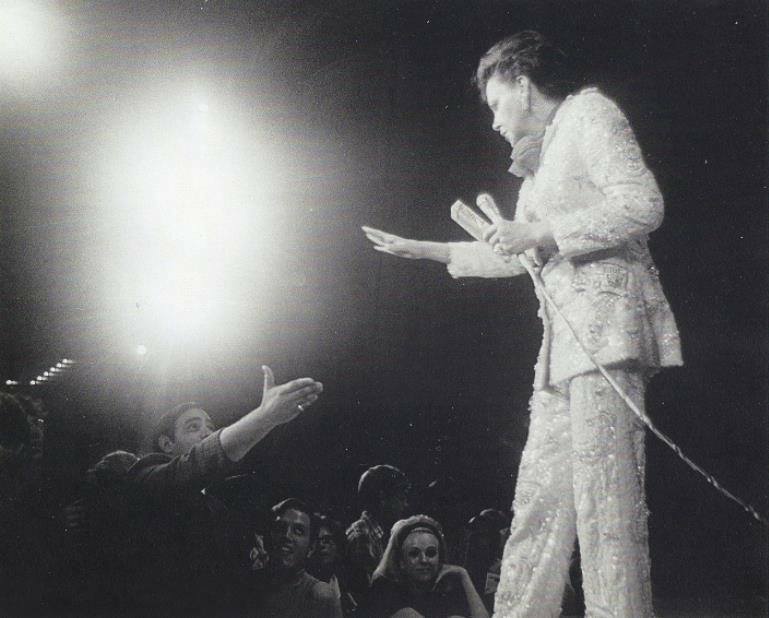 The show had lasted 3 1/2 hours before she came on, stood in a pale violet spot, and sang “Rock-A-Bye Your Baby With A Dixie Melody.” The house rose to her in great crashing waves of applause, the kind for which the Palladium was built. 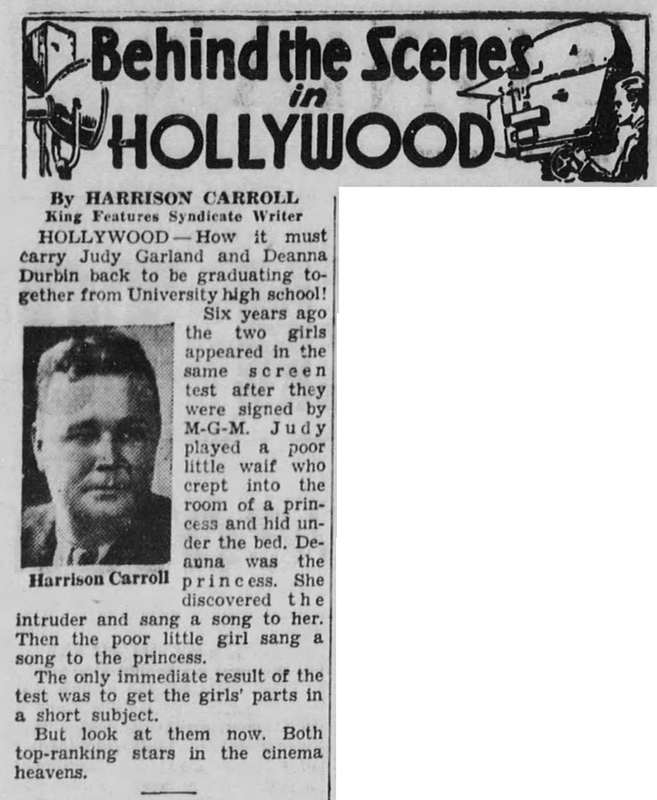 June 25, 1954: More rehearsals of the “Born in a Trunk” number for A Star Is Born. 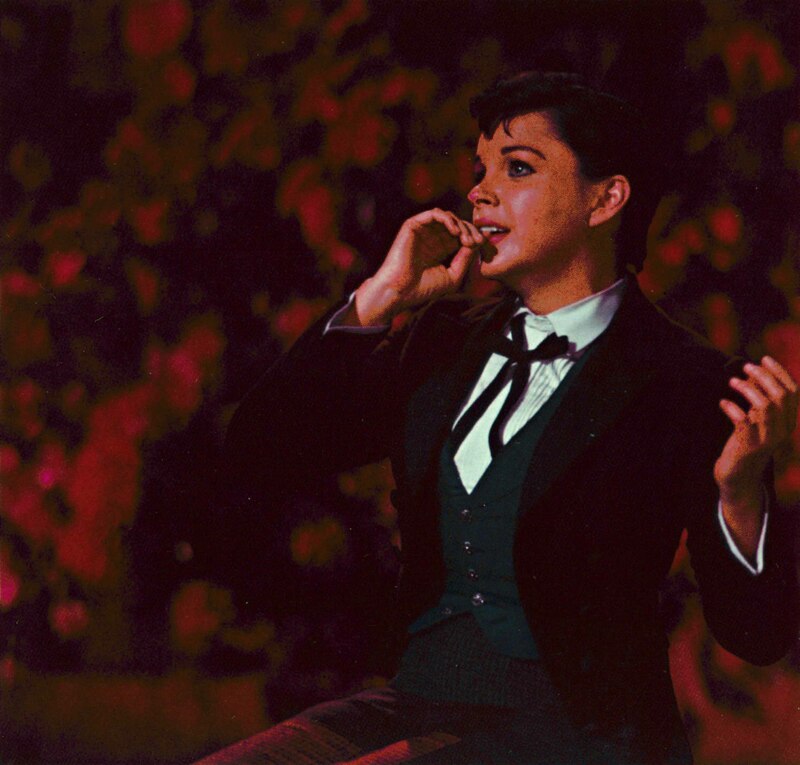 Judy started at 2 p.m. and finished at 5:30 p.m.
June 25, 1963: The first day of a nine-day break in the production of “The Judy Garland Show.” Although just the first episode had been filmed, there were months of pre-production work. This time off from CBS wasn’t much of a vacation for Judy. 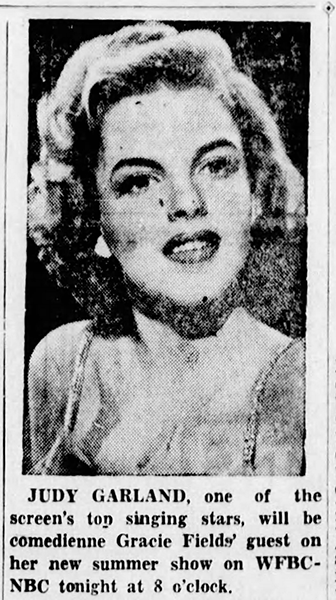 Sid Luft gave her the news that her manager David Begelman had allegedly “misappropriated” Judy’s money on several occasions, totaling anywhere from $200,000 to $300,000, with $78,967.20 already documented. If this had been made public it would have affected the fate of the series so in order to not jeopardize the series Judy did not press charges. Judy chose to ignore the situation altogether. 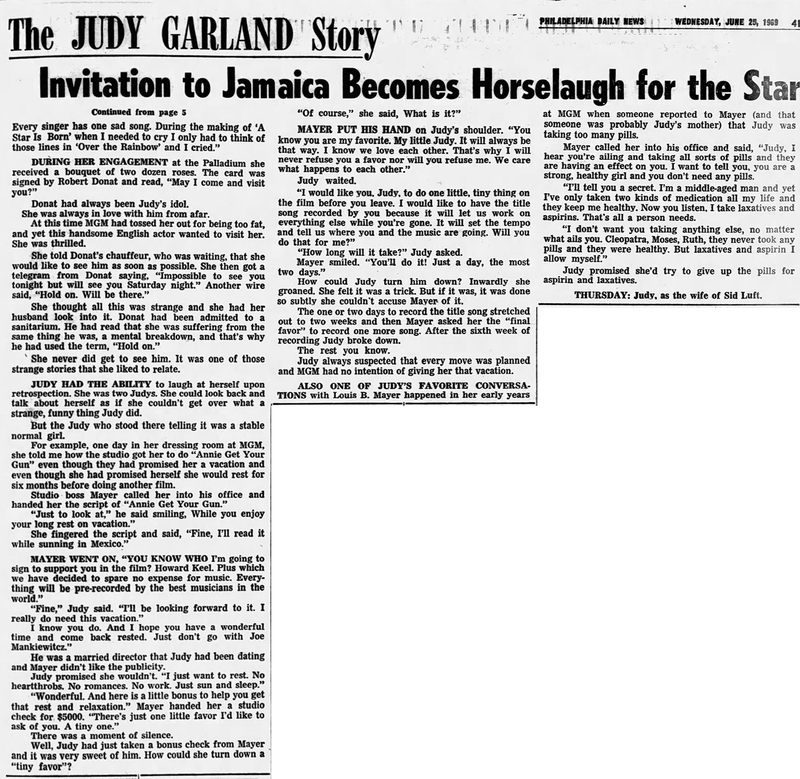 By the end of 1961 she had supposedly paid off her debts and had money in the bank (thanks to her career resurgence) but bills were not being paid by Begelman, who had a power of attorney and complete control of Judy’s money. 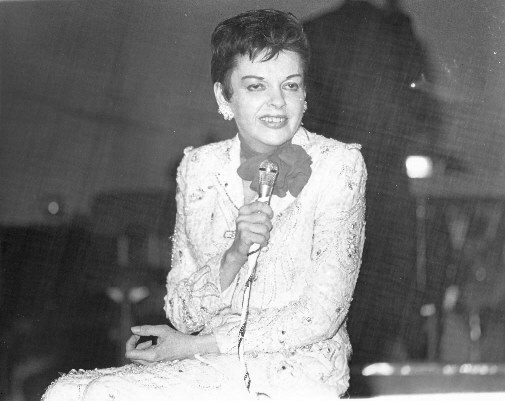 In July 1963 Judy would be sued by a London hotel for $3,000 in long-distance phone bills for the time she was filming I Could Go On Singing (May to July 1962). There were also old IRS and other debts from the late 1950s. Thanks to Begelman, Judy’s financial woes would haunt her for the rest of her life. June 25, 1964: Judy and Mark Herron left Tokyo by plane for Denmark, where she arrived in Copenhagen on June 26th after a stopover in Anchorage, Alaska (where she told the press “I am very happy – We are very happy!”). Judy and Herron stayed in Copenhagen overnight at the Royal Hotel and then traveled to London. 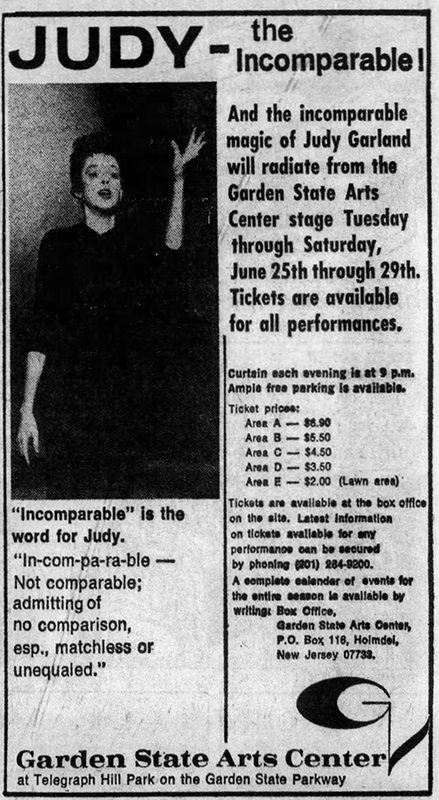 June 25, 1968: Judy opened at The Garden State Arts Center in Holmdel, New Jersey. She was the first artist to play the new $10 million dollar indoor/outdoor theater. On the afternoon of the opening, she had someone hastily write an arrangement of Barbra Streisand’s “Free Again”; She sang it once that afternoon, then said “I’ll never sing it as good as she does,” and never sang it again! Download the concert here (zip file). I AM NEVER going to eat lunch again. Never. Bad things seem to happen to me at lunch. years ago, when I was fired by Metro-Goldwyn-Mayer, I was fired at lunch. I always wondered why. I got fired again. Oh, I know – the studio says I “withdrew for personal reasons.” But don’t believe a word of it. 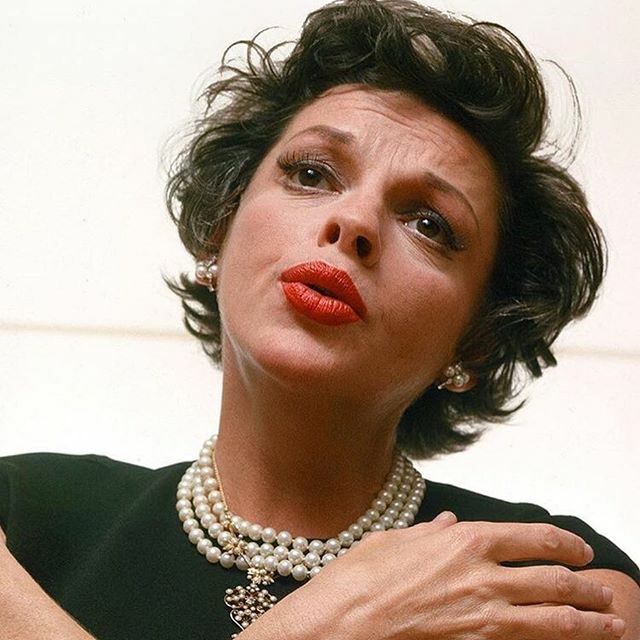 Judy Garland was fired, canned. Why. I do not know. There I was, eating lunch in my dressing room – and not feeling particularly well. I’d been fighting a flu bug all week long, and I had a low-grade fever to prove it, just ask my doctor. Even so, I had reported to the set on time every day. And I had been working smoothly and hard. Nobody had complained that I wasn’t. I had recorded the song I was to sing in the picture, and they all said it was great. I was delighted with my wardrobe – and with the nice salary, I was earning: $100,000. THEN INTO MY DRESSING ROOM WALKED Owen McLean, talent executive under young Richard D. Zanuck, who now runs 20th Century-Fox. With him came a studio attorney. “What foolishness?” I asked. I wondered what in heave this man was talking about. I was stunned. “Would you please repeat that slowly?” I asked. He did. I had signed a contract. I was going a good job. But I was still O-U-T. Blew another big chance? I did not! I will not believe it till I hear just what the studio says I did, what terrible crimes I committed against their movie. Maybe young Zanuck wanted to show he was just as tough as his old man, Darryl. Alright, they convinced me. It’s just as well, though. I wanted the part, I needed the money, but I have to be honest: “Valley of the Dolls” isn’t my kind of motion picture. I don’t want to be a harridan on the screen, and I don’t think people want me to be. ACTUALLY, THIS LATEST SETBACK isn’t the end of the world for me. Things were a lot worse last year when I literally didn’t have a quarter and faced the possibility that the Internal Revenue Service would take away my house because I was behind on my tax payments. My car was repossessed and there were a few times when I wondered if I would be able to pay my grocery bills. I had no income whatsoever. I’ve been in show business for 42 1/2 years. I’ve earned about $10 million in salary and royalties from movies, television, concerts, and recordings. And I’ve earned hundreds of millions of dollars more for the companies I worked for. But I’ve never lived like a wealthy woman because I’ve never been a wealthy woman. I never saw most of the money I earned. Never had a million dollars in the bank or anything near that amount. At one time I was one of the greatest movie starts – with the most ragged underwear, I didn’t have one petticoat that didn’t have a rip in it. I CAN LIVE WITHOUT MONEY. But I find that I cannot live without love, without friends. And, until very recently, I have too often been a woman alone. ONE OF THE BEST FRIENDS I ever had was President John F. Kennedy. When I was doing my TV series, there were times when I didn’t think I was getting the right advice. So I would telephone President Kennedy at the White House, and he would accept my calls. It’s funny, but the Los Angeles operators would never get used to my calling the White House, person-to-person. I remember that Mr. Kennedy was in a meeting when I called one evening, but he came right on the phone anyway. I told him I had some problems, but I said that I knew he was busy and certainly didn’t want to take up his time. “Do you ant Jewison?” the President asked. “I don’t mind him” I replied, adding that it was CBS’s expensive idea. THURSDAY: Good friends and fly-by-nights. 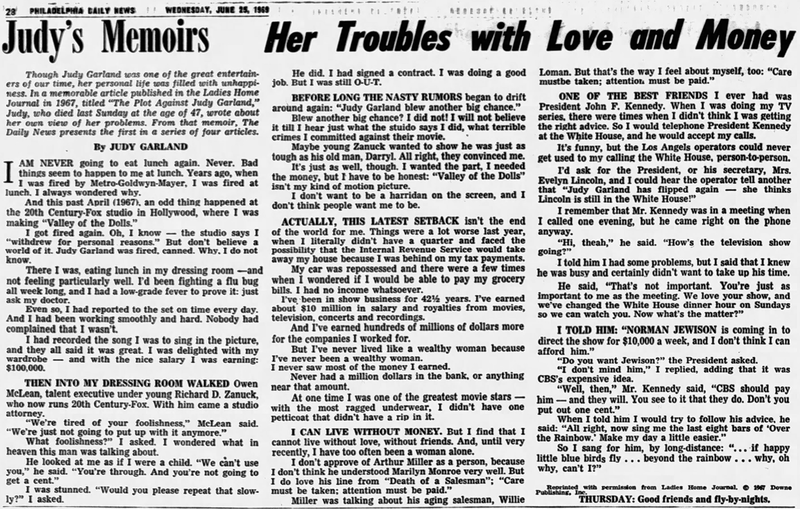 June 25, 1969: The third in a series of articles about Judy published immediately after her death. This installment was not kind at all about Judy’s TV series, among other things. 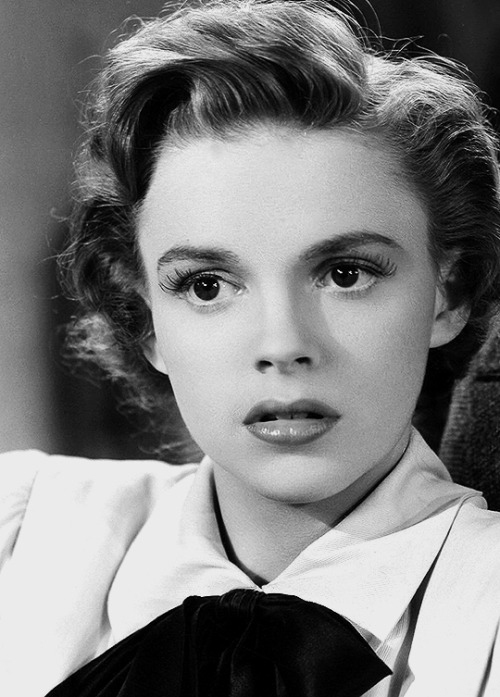 This is the story of Judy Garland, the star, as written by Leo Guild, a veteran of the Hollywood scene who knew her well as actress, entertainer, and friend. 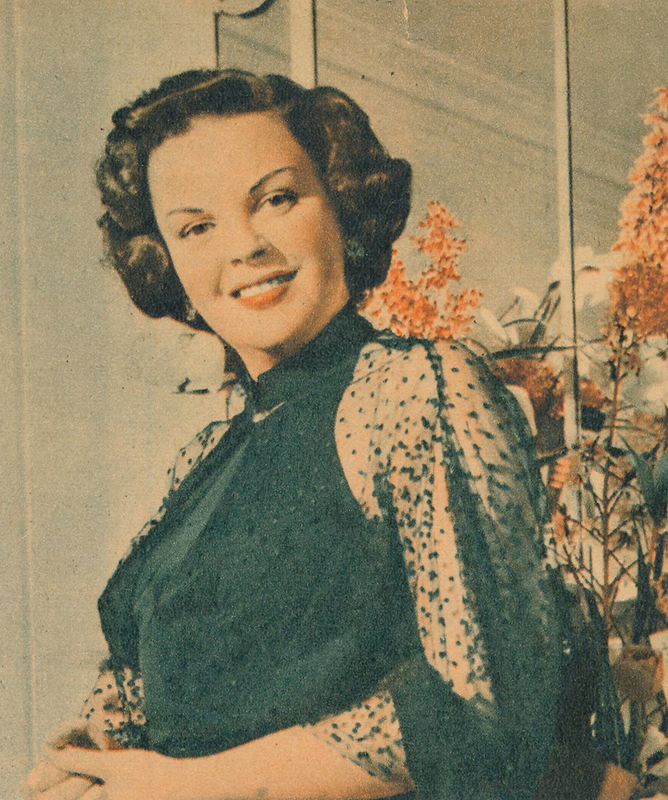 NOT ALL WAS TRAGEDY in Judy Garland’s full life. There were many light moments, many bright moments. When Judy first met ex-husband, Sid Luft, they had a great excitement for each other. They met at an informal party in Jackie Gleason’s apartment. 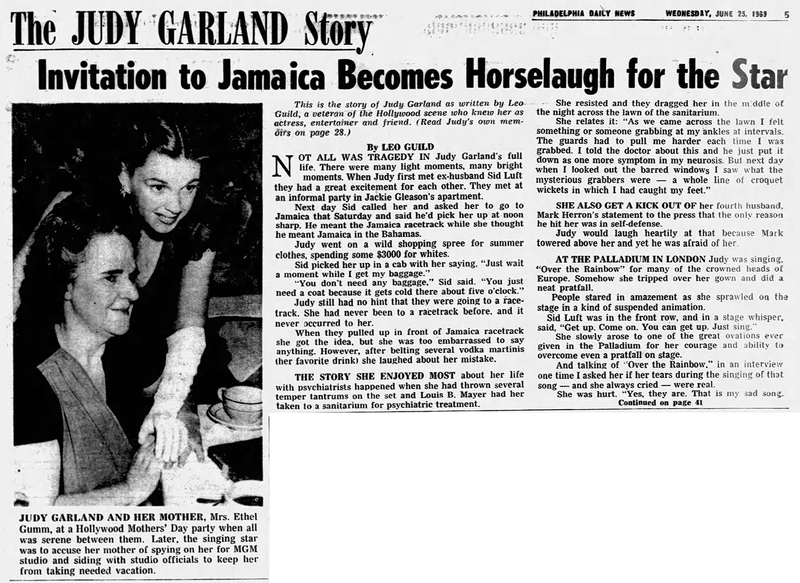 Next day Sid called her and asked her to go to Jamaica that Saturday and said he’d pick her up at noon sharp. He meant the Jamaica racetrack while she thought he meant Jamaica in the Bahamas. Judy went on a wild shopping spree for summer clothes, spending some $3000 for whites. Judy still had no hint that they were going to a racetrack. She had never been to a racetrack before, and it never occurred to her. When they pulled up in front of Jamaica racetrack she got the idea, but she was too embarrassed to say anything. However, after belting several vodka martinis (her favorite drink) she laughed about her mistake. THE STORY SHE ENJOYED MOST about her life with psychiatrists happened when she had thrown several temper tantrums on the set and Louis B. Mayer had her taken to a sanitarium for psychiatric treatment. She resisted and they dragged her in the middle of the night across the lawn of the sanitarium. SHE ALSO GOT A KICK OUT OF her fourth husband, Mark Herron’s statement to the press that the only reason he hit her was in self-defense. Judy would laugh heartily at that because Mark towered above her and yet he was afraid of her. 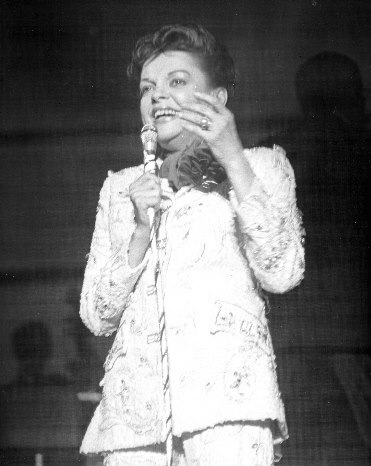 AT THE PALLADIUM IN LONDON Judy was singing “Over the Rainbow” for many of the crowned heads of Europe. Somehow she tripped over her gown and did a neat pratfall. People stared in amazement as she sprawled on the stage in a kind of suspended animation. She slowly arose to one of the great ovations ever given in the Palladium for her courage and ability to overcome even a pratfall on stage. And talking of “Over the Rainbow,” in an interview one time I asked her if her tears during the singing of that song – and she always cried – were real. 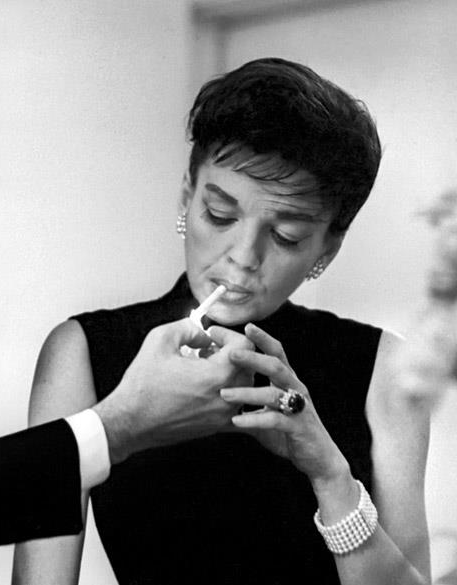 Donat had always been Judy’s idol. She was always in love with him from afar. At this time MGM had tossed her out for being too fat, and yet this handsome English actor wanted to visit her. She was thrilled. She never did get to see him. It was one of those strange stories that she liked to relate. JUDY HAD THE ABILITY to laugh at herself upon retrospection. She was two Judys. She could look back and talk about herself as if she couldn’t get over what a strange, funny thing Judy did. But the Judy who stood there telling it was a stable normal girl. For example, one day in her dressing room at MGM, she told me how the studio got her to do “Annie Get Your Gun” even though they had promised her a vacation and even though she had promised herself she would rest for six months before doing another film. He was a married director that Judy had been dating and Mayer didn’t like the publicity. Well, Judy had just taken a bonus check from Mayer and it was very sweet of him. How could she turn down a “tiny favor”? “How long will it take?” Judy asked. How could Judy turn him down? Inwardly she groaned. She felt it was a trick. But if it was, it was done so subtly she couldn’t accuse Mayer of it. The one or two days to record the title song stretched out to two weeks and then Mayer asked her the “final favor” to record one more song. After the sixth week of recording, Judy broke down. Judy always suspected that every move was planned and MGM had no intention of giving her that vacation. ALSO ONE OF JUDY’S FAVORITE CONVERSATIONS with Louis B. Mayer happened in her early years at MGM when someone reported to Mayer (and that someone was probably Judy’s mother) that Judy was taking too many pills. Judy promised she’d try to give up the pills for aspirin and laxatives. 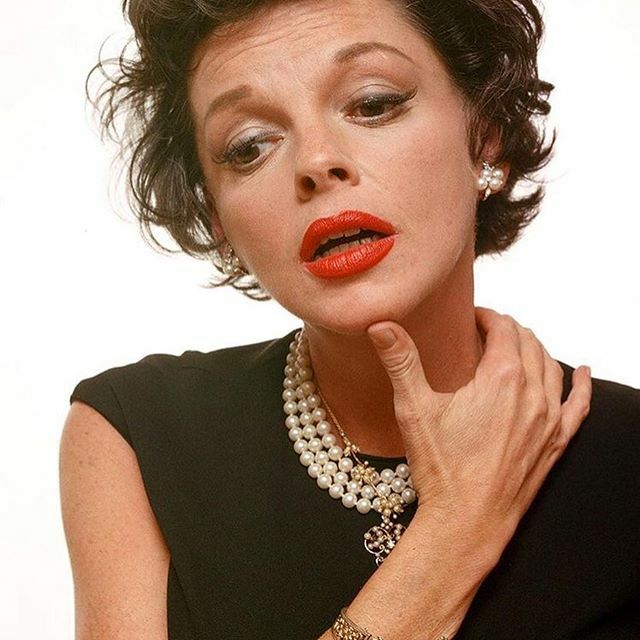 THURSDAY: Judy, as the wife of Sid Luft. June 25, 1988: Ethel Meglin passed away at 98. She was famous for her Meglin Dance Studios and the Meglin Kiddies troupe and shows. Judy and her sisters, along with other young performers, were a part of the studio and the shows, and early films, in the late 1920s and early 30s. It’s a shame that no one conducted an in-depth interview with her. Imagine the stories and the insight she must have had. 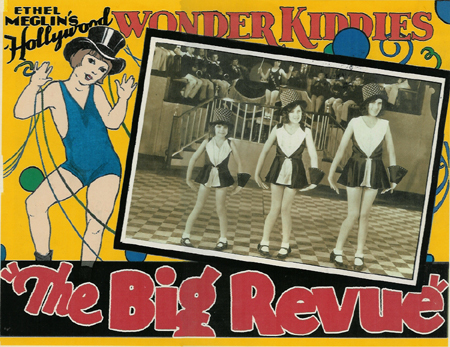 Photos: AP notice of Meglin’s death; Judy and her sisters as part of the Meglin Kiddies group in their first film, The Big Revue.